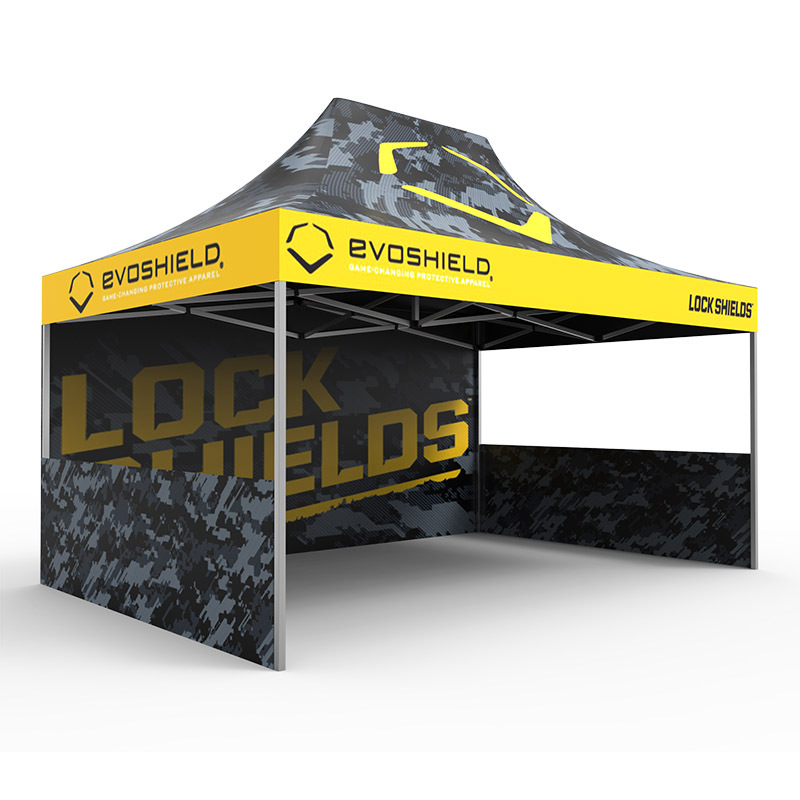 This is our deluxe tent canopy built to meet the highest environmental and safety standards. The strong frame comprises of 2mm aluminium poles giving it the strength to withstand strong winds. 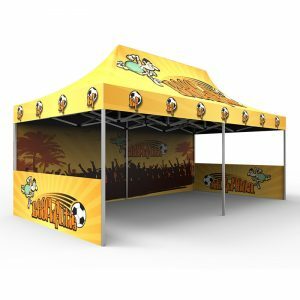 The tent canopy comprises of 600D fabric with a coating that is fire resistant, water proof and UV proof. 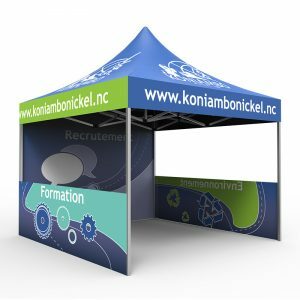 High quality fade resistant inks make our tents the ideal indoor and outdoor advertising solution, whilst protecting you from the elements of the weather. The entire tent takes only minutes to assemble and is easily transported in a luxury carrying bag, portable and light enough to take anywhere. The choice is simply when it comes to ordering the highest quality pop up tents from Beaumont & Co.
Aluminium Pop Up Tent 10ft x 15ft BC02. Contact Beaumont & Co.